Simply decadent and divine. 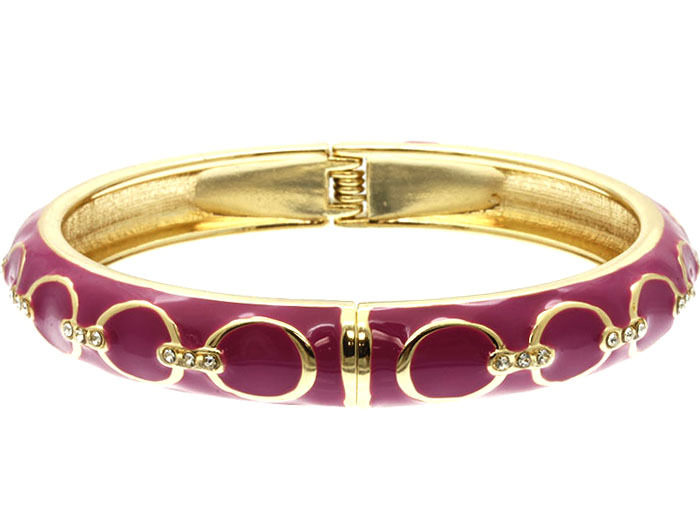 The Alexis Bangle Bracelet is encrusted with rhinestones against a gold and purple link patterned band. Wear it solo, or mix and match with layered bangles. If it's online jewellery Australia you are looking for then look no further! Fun, formal, chic or unique….we have it all!